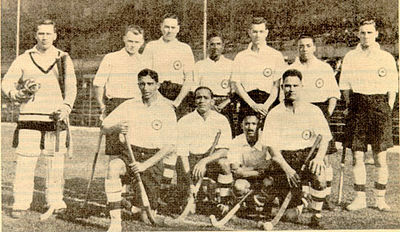 The selection of players for the hockey team’s debut at the 1928 Olympics was numbered to 13. However, owing to funds shortage, only eleven players were guaranteed to take the boat. Bombay (Mumbai), Madras (Chennai) and Burma (Myanmar) all turned a deaf ear when an appeal was made to raise the funds. The entourage needed 15,000 INR and two players namely Shaukat Ali of Bengal and R.A Norris of CP were sidelined as a result of it. Bengal Hockey Association stepped in and ensured funds were raised and the team of thirteen players made the journey. The team selected for the Olympics assembled in Mumbai on March 8, 1928. They played a match against Bombay XI – which they lost. Not a good omen for their long journey ahead, however no issues were created. On board the P&O Kaiser-i-Hind, the players were given a quiet send-off. Three persons bid them farewell at the Ballard Pier which included the IHF President Major Burn-Murdoch, the Vice-President Charles. E. Newham and a journalist S. Bhattacharjee. On March 30, 1928 the ship dropped anchor at Tilbury Docks, London. It was beginning of the spring season in London, hence it was wet and cold – a different kind of weather something which Indian players were unaccustomed to. Barring few representatives from Britain’s hockey fraternity there were hardly any members from the press. After all, this was the hockey team from India, how relevant were they? Indian team played 11 matches in England. The first match was played on a soggy ground as a result of heavy rains and Indian players had no footwear to cope with the English conditions. They lost their first game against Combined Services team 1-2. The next ten matches featured teams that were below par. The British hockey authorities repeatedly refused to field in their international team and by the way Indians started scoring and winning, their refusal to field an international team became firmer. At the Folkestone Festival, Indian team played Hockey Association XI (included 9 international players) which they won 4-0 comfortably. In fact, after the Folkestone defeat, many rumours persisted that England was scared of losing to India and hence withdrew from the Olympic event. And the legend goes, as long as India remained a colony of Britain, they never participated in the Olympic hockey event. Dhyanchand never had an opportunity to play against the colonial masters, who were responsible to create the culture of hockey in India. After losing the first match, the other ten matches yielded nine victories with one draw. The Indian team and in particular Dhyanchand was at the receiving end of praise and kind words from the English press and few even went on to call him the ‘Hockey Wizard’ and ‘human eel’. Jaipal Singh, S M Yusuf and Nawab of Pataudi. Sr who were in England played few games with the Indian team with the former two joining the squad for the Olympics. The Indian team landed the shores of Holland on 24th April 1928. The first match was scheduled for 17th May and in between they managed to play four practice games in Netherlands, two in Germany and one in Belgium. The Indian squad travelled from Amsterdam to Arnheim and then to Hague winning each of the matches by a margin in excess of seven goals. The increasingly confident Indian contingent then travelled to Hannover in Germany and won the game 10-0, defeated Berlin XI in Berlin 5-1. And, while on their way back to Amsterdam, they stopped at Brussels, played a game against a Brussels team and won by a score of 10-2. These games not only provided the team much required match practice – but also provided enough time for all the players to get used to the continental conditions. The grass on the turf was also not trimmed uniformly which presented them with few set of challenges as the ball slowed to the flick and push play of the Indians as compared to the hit and run technique of their opponents. Who would have give these Indians as favourites except for the teams who watched them play? 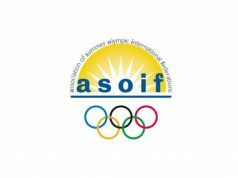 The first Olympic game was against Austria. India won by 6-0 with Dhyanchand scoring 4 goals. Next up was Belgium, the very next day and quite comfortably Indians eased through the Belgians scoring 9-0. In the next match against Denmark, the goals continued to flourish from the sticks of the Indian forwards. 5-0, the final score ensured a place in the semi-finals. Switzerland was swept away 6-0 by India in the semis and India had reached the finals. The crowd gathered in huge numbers as the hosts Netherlands were the other finalist. 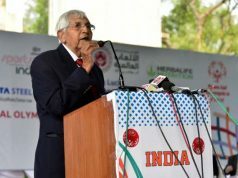 Indians had few players missing, the likes of Feroze Khan, Shaukat Ali and Kher Singh who were sick and Jaipal Singh was removed as the captain for the finals owing to his political tantrums that had hints of racism. Eric Pinniger, the vice-captain stepped up to lead the side. Dhyanchand was running with high temperature which persisted throughout the game. But he was an army man, brought up in tougher conditions. He was a soldier and he was playing for his country and the manager had just one simple message – Do or Die. A hatrick from Dhyanchand and the home team could not get past the Indian defense. India, under the colonial rule had won its first Olympic gold medal. Richard Allen, the goal keeper did not concede a single goal in the entire five matches which saw the Indian team rake up 29 goals out of which Dhyanchand contributed 14 goals. Rajan lives in Switzerland and has a keen interest in understanding behind the scenes of sports. Besides, he loves reading about history, watching old Hollywood classics, travelling to new places and understanding cultures.